DENVER— The Federal Energy Regulatory Commission today closed the door on what opponents of the Flaming Gorge Pipeline hope will be the last attempt to permit the project. FERC denied a request for rehearing from Aaron Million’s company, Wyco Power and Water, Inc.—an attempted “do-over” of the commission’s earlier denial of a preliminary permit. The Colorado-based company has spent several years, and a claimed $5 million, attempting to launch this ill-conceived boondoggle. Wyco’s proposal has been met with stiff opposition from conservation groups, individuals, and local communities and businesses; now FERC has provided a point-by-point refutation of its application and rehearing request, leaving no doubt that this pipeline remains a pipe dream. FERC’s order recognized that the Flaming Gorge Pipeline proposal is poorly defined, and the approval process would be “difficult and lengthy” due to the controversy surrounding the project. As a result, the commission stated, it would be premature to issue the permit for the project at this time. Importantly, the agency also made clear that it would not license the entire 501-mile water conveyance project. FERC is now the second agency to reject Million’s attempts to review and approve the pipeline, following the Army Corps of Engineers’ termination of its review of the project in 2011. The Flaming Gorge Pipeline is a massive, transbasin water-supply project that would annually take about 81 billion gallons (250,000 acre-feet) of water from the Flaming Gorge Reservoir and Green River and pipe it more than 500 miles over the Continental Divide to Colorado’s Front Range and southeastern Wyoming. This diversion would have devastating impacts on the native fish and wildlife in the Green and Colorado rivers, batter regional recreational opportunities and jobs that depend on river flows, and potentially be a fatal blow to one of the West’s last great rivers. 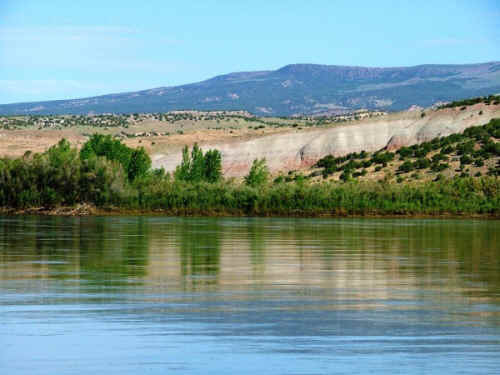 The plight of the Green River and the impacts of the proposed Flaming Gorge Pipeline were highlighted this week when American Rivers declared it number two on the organization’s list of “most endangered rivers” in the United States. After an attempt at permitting through the Army Corps of Engineers was rejected last year, Wyco Power and Water, Inc., turned to FERC. In February, the agency, acting well within its discretion and following its governing regulations, dismissed Wyco’s preliminary permit application as premature. In its review of the preliminary permit application, the commission found that Wyco would be unable to gain the many authorizations and the design certainty necessary to file a license application within the three-year permit term. Again failing to take “no” for an answer, Wyco then requested a rehearing, yet failed to provide any meaningful evidence or arguments that the regulatory agency had gotten it wrong the first time. FERC’s ruling today upheld its earlier finding and left it clear that Wyco’s application is without merit. A coalition of 10 conservation groups with interests throughout the Colorado River Basin, represented by Earthjustice, had intervened on the permit application, including the Center for Biological Diversity, Sierra Club, Rocky Mountain Wild, Save the Poudre: Poudre Waterkeeper, Biodiversity Conservation Alliance, Wyoming Outdoor Council, Citizens for Dixie’s Future, Glen Canyon Institute, Living Rivers: Colorado Riverkeeper and Utah Rivers Council.